VANKLEEK HILL, ON – Beau’s All Natural Brewing has announced return of a previous release in its ongoing series of seasonal gruits, an ancient style of herbal beer that the brewery has been instrumental in reviving in recent years. 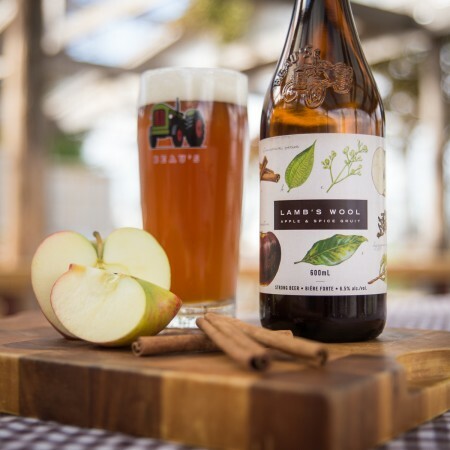 A Lamb’s Wool gruit of spices, ale and apples has a long history with Celtic pagan roots. It is a traditional drink meant to be paired with making merry, celebrating friendships, and welcoming good fortune in the year to come. Beau’s Lamb’s Wool pours copper with a white foam. The aroma introduces a classic combination of apples and spice. The flavour is pleasantly tart and slightly warming, with fruit and pepper notes. The finish is clean and tangy. Lamb’s Wool will be available on Thursday December 6th at the Beau’s retail store and BYBO delivery service, and at select beer retailers, bars, and restaurants in Ontario and Quebec.